Xiaoyun Lu is a professor of biochemistry and molecular biology at Xi’an Jiaotong University, China. She received her B.S. degree from the Health Science Center, Peking University, Beijing, China, in 2000. She then pursued her PhD in the Department of Biological Sciences & Biotechnology, Tsinghua University, Beijing, China, between 2000 and 2004. In 2005, she joined the faculty of School of Life Science and Technology, Xi’an Jiaotong University and successively undertook the teaching of several courses such as Molecular Biology, Biochemistry and Cell Biology. She won the top award of Teaching Competition in Xi’an Jiaotong University in the Bilingual group in 2007 and, at that time, she was already a teacher loved by students. She spent a lot of energy in improving her teaching ability, preparing thoroughly for each lesson. She was selected in a University-wide process in 2011 as one of the ten advanced individuals in teaching and education and won the Wang Kuancheng Award for Educating Talents in Xi’an Jiaotong University in 2015. She also won the top level award in the First CSBMB National Micro-course Teaching Competition and the third level award in National Colleges Micro-course Teaching Competition. 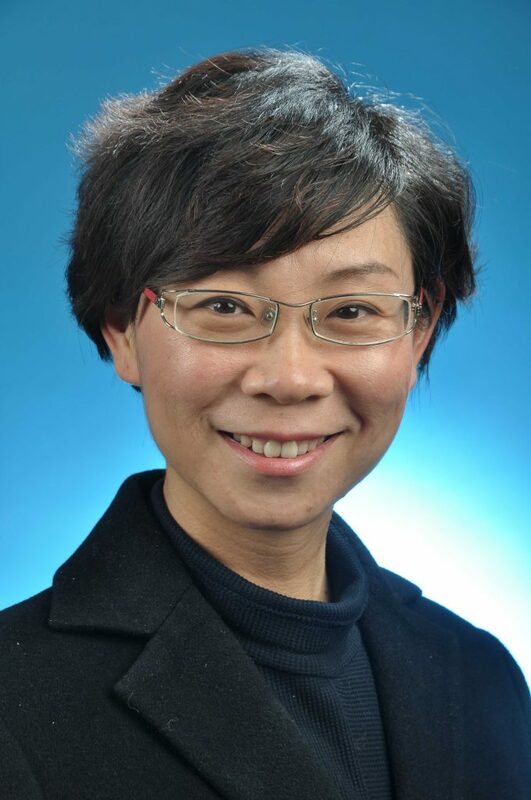 In 2014, she and her team developed the first Molecular Biology MOOC in China, namely “Molecular Biology – Principle and technology”, which was launched in XuetangX at http://www.xuetangx.com/. As a well designed and organized course, it was welcomed and loved by many learners. In 2017, this course was selected as the National High-Quality Online Open Course by Chinese Ministry of Education and was recognized for the Honorable Mention Award for course design and quality by GCMOOC Symposium. Since 2015, Dr Lu carried out the SPOC-based flipped class in her molecular biology course and her practice demonstrated that the flipped class and blended learning pattern promoted the independent learning ability as well as enhancing the learning enthusiasm of students. In 2016, she further optimized her classroom practice based on a newly developed intelligent teaching tool, “Rain classroom”. With the help of “Rain classroom”, she could control the teaching and learning process freely, timely and precisely, which further improved the learning effects and experience of students. With much enthusiasm for sharing her experiences she has presented her course design concept widely, thereby contributing to the skill development of many teachers in China. In 2019, she was selected as a Rain-classroom Intelligent Teaching prominent teacher and her particular Molecular Biology Rain-Courseware was selected as an Excellent Rain Courseware by Online Education Research Center, Chinese Ministry of Education. Based on her teaching concept, she also placed significant emphasis on practice, since the purpose is not just imparting knowledge but also improving the ability of students to undertake discovery and to solve problems. Therefore, she participated in organizing and directing practical and innovative training projects for undergraduates. In 2018, she organized the first XJTU-CHINA team to participate in the International Genetically Engineered Machine Competition (iGEM), serving as the first PI. She directed XJTU-iGEMers to design and carry out their own research project, namely “A biosensor-based directed evolution in promoting D-psicose production”. The project was completely proposed and taken to completion by students. It is the first time that such Chinese students attended the iGEM Jamboree and the XJTU-CHINA iGEM team won the Gold medal. While completing the excellent teaching work mentioned above, Dr Lu has also carried out abundant scientific research. Her academic research is mainly focused on applied molecular biology and bioelectromagnetics. She and her team have been working to develop an efficient and low-cost platform for creating functional polyhydroxyalkanoate (PHA) nanoparticles that are biocompatible, biodegradable and are able to bond reliably without affecting the functional proteins or drugs. Those functionalized PHA nanoparticles could be applied for tumor-targeting drug delivery and enzyme immobilization, etc. She has already led seven national research projects, three of which were supported by the National Natural Science Foundation of China. She also contributed to more than 40 research papers, 2 teaching papers and 10 conference papers. Dr Lu was the second Editor-in-chief of a textbook named “Molecular and Cellular Biology” which is ranked as a higher education “thirteenth-five year” planning textbook and published by Science Press in 2017.